Additionally, the Air Force has used the European theater as a testing ground for the proof of concept of a forward-deployed air base system. “Looking into fiscal year 2019, we are proposing a [European Defense Initiative] budget that demonstrates the U.S. commitment to NATO,” Wolters said during a teleconference hosted from Brussels, Belgium, in July. The funding request and aircraft deployments line up well with the National Defense Strategy, which prioritizes preparations for a great power confrontation with Russia or China over low-intensity conflicts like those of the Global War on Terror. That emphasis on partnerships is in full swing in Europe. The U.S. Air Force is getting more expeditionary thanks to a new kit that will enable the service to rapidly move to a partner nation’s airfield, set up a squadron and begin flying combat missions. The Pentagon has been pre-positioning Air Force basing assets in original NATO nations — to include Germany and the United Kingdom — and making significant airfield improvements in Eastern Bloc countries. 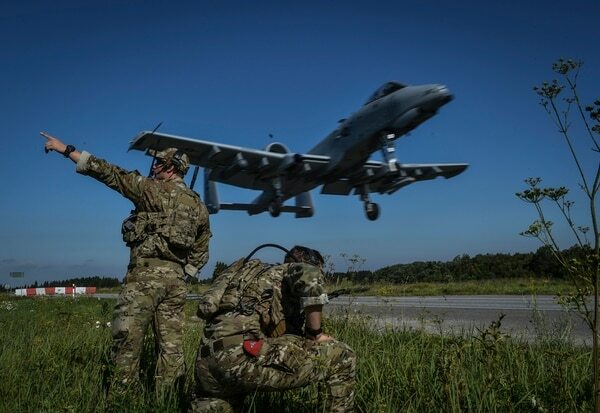 During Saber Strike 2018, for instance, Air Force special tactics operators practiced rough landings with A-10 Warthogs on improvised runways in Estonia and Latvia. Elsewhere on Russia’s doorstep, the 2018 defense budget provided funding for refueling infrastructure and a tactical fighter aircraft parking apron and taxiway at Amari Air Base, Estonia. The 2019 defense budget request is asking for an additional $16 million more for training facilities at Amari to be used by U.S. Special Operations Command. Another $56 million from the 2018 budget was pushed to Kecskemet Air Base, Hungary, to pay for fuel storage, taxiway construction and other base improvements to accommodate the F-15, A-10 and C-5 transport aircraft. 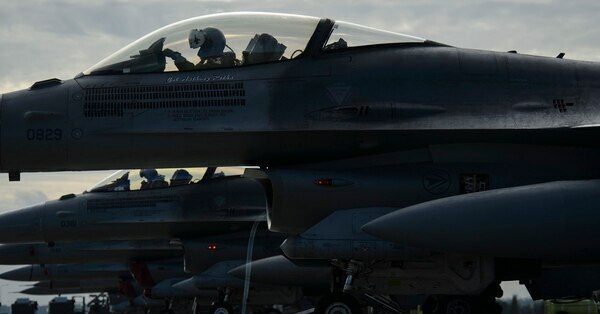 The 2019 budget also includes funds to build a munitions storage facility at Malacky Air Base, Slovakia, and to build a taxiway at Rygge, Norway. The Air Force tested its Deployable Air Base System, or DABS, in Poland this summer. The system provides “enhanced pre-positioning of U.S. equipment, increases responsiveness and readiness by pre-positioning ammunition, fuel and equipment, and improves infrastructure to enhance our ability to provide a rapid response,” Wolters said. 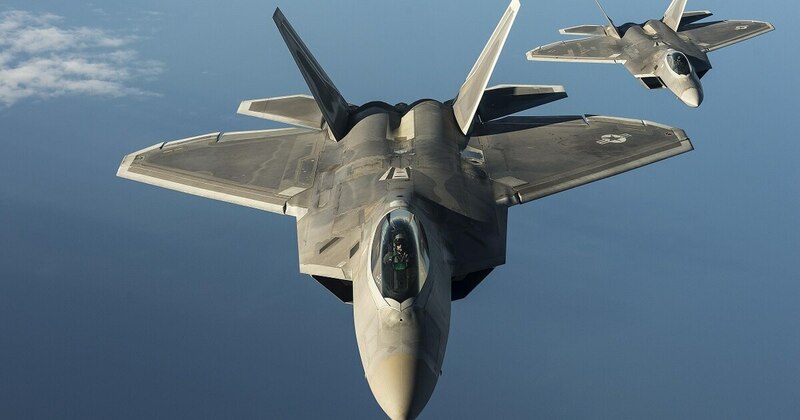 Were a war to kick off between the United States and Russia, the Air Force is operating under the assumption that it cannot rely on its major air hubs in the United Kingdom, Italy and Germany alone. The Russian Federation is not oblivious to the spending increases, training exercises and infrastructure investment, though. Russia just hosted its largest military drills in nearly four decades on its eastern flank with NATO, Sept. 11-15. The upcoming exercise will be three times the size of last year's closely watched drills and perhaps bigger than the Soviet Union's largest training event. Russian Defense Minister Sergei Shoigu announced last month that the Vostok-2018 exercise this September would involve as many as 300,000 troops, 1,000 aircraft and 900 tanks with units from China and Mongolia joining in. The drills will be “on an unprecedented scale both in terms of the area covered and in terms of the numbers,” Shoigu told Russian state media. Military Times ground combat reporter Todd South and Defense News air warfare reporter Valerie Insinna contributed to this report.